Is the Cost of Car Ownership Worth It? Find out if the car-free life would work for you. It’s been said that the two things you can count on in life are death and taxes -- but in today's modern society, most people can also count on the expenses of a home and a car. And as you probably know, the cost of maintaining a car can be significant. According to the United States Bureau of Transportation Statistics, the cost of owning a car in 2018 was almost $9,000 per 15,000 miles. That may sound low -- but that cost doesn’t even include the cost of buying the car itself. The figure above includes “fuel, maintenance, tires, insurance, license, registration, taxes, depreciation and finance,” the government notes. Therefore, assuming you also have car payments, tolls or parking fees, you can add those to the $9,000 annual cost. Let’s say you don’t have any tolls or parking fees in your standard charges, but you do have a car payment. The average monthly car payment in 2018 was $523, according to credit reporting firm Experian. On a yearly basis, that comes to almost $6,300 -- which, added to the $9,000 annual average cost, comes to a startling $15,300. Who wouldn’t want an extra $15,000 for their yearly budget? Eliminating those car costs could be extremely appealing, but before you cut the cord -- or in this case, the keychain -- it’s important to know whether being car-free would definitely be less expensive than car ownership. Check out the following breakdown to get a handle on the costs. As you might imagine, it’s much easier to go car-free if you live in an area with a strong public transportation system. In New York City, for instance, you can get unlimited travel on the subway system for $121 per month, or $1,452 annually. But thanks to today’s technological advances, you can survive without a car even in a more suburban area. Most groceries can be delivered for under $5.00, and services like Lyft and Uber allow you to catch a ride wherever you need to go, even in areas without bus or taxi services. In addition, a growing number of cities are creating bike paths for those who choose to get around by bicycle. Another key consideration is whether you have multiple people who you transport from one place to the next. In some families, one parent goes to a job in one part of the city, the other parent heads in the opposite direction, and in the evenings, both parents are shuffling kids to and from activities. In these cases, the car-free life can be a challenge. Some people mitigate this by eliminating one car but by sharing a family car and changing their living situation to allow that to be a tenable solution. Many companies allow at least part-week remote work, so it’s completely possible for one family member to use the car certain days of the week and the other to use it the remaining days. In addition, you can always rent a car if you need to travel a distance that would make Uber, Lyft or other rideshare services impractical. For instance, Zipcar and Maven allow you to rent a car by the hour -- so if, for instance, you need to pick up a dresser that you bought via Craigslist and only need a car for an hour to do it, you can use these types of services to do that. Turo is a similar service, but in most cases, the cars involved in this program are owned by individuals. They rent out the cars for your desired duration. 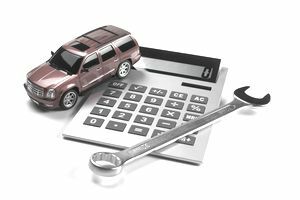 After you calculate what these costs might look like on a monthly basis, then add up your current costs of owning a car. Include repairs, gas, parking, tolls, car payments, insurance, taxes, and other fees. Then compare this number to the alternative charges above so you can determine whether it would be cost-effective to go car-free.